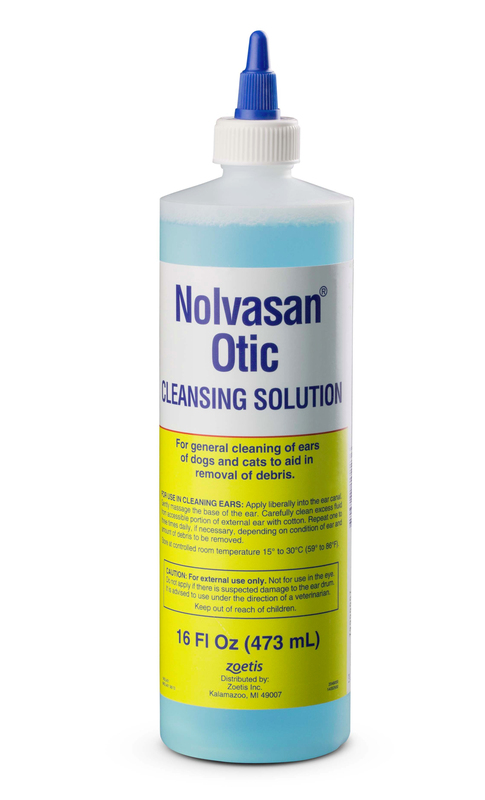 Nolvasan Otic Cleaning Solution is for general cleaning of cats’ and dogs’ ears to help remove debris. Gentle and effective, Nolvasan Otic gets the job done when ears are at their dirtiest! Apply liberally to the ear canal, and gently massage the base of the ear. Use cotton to carefully wipe excess solution from the accessible portion of the external ear. Can be repeated 1–3 times daily as necessary. Necessity varies depending on the condition of the ear and the amount of debris to be removed.